The transitional environment that you have created within your home will be the perfect fit for the addition of the Wystan Collection. 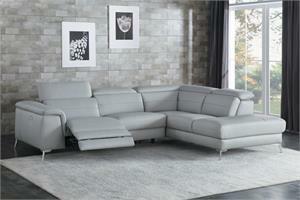 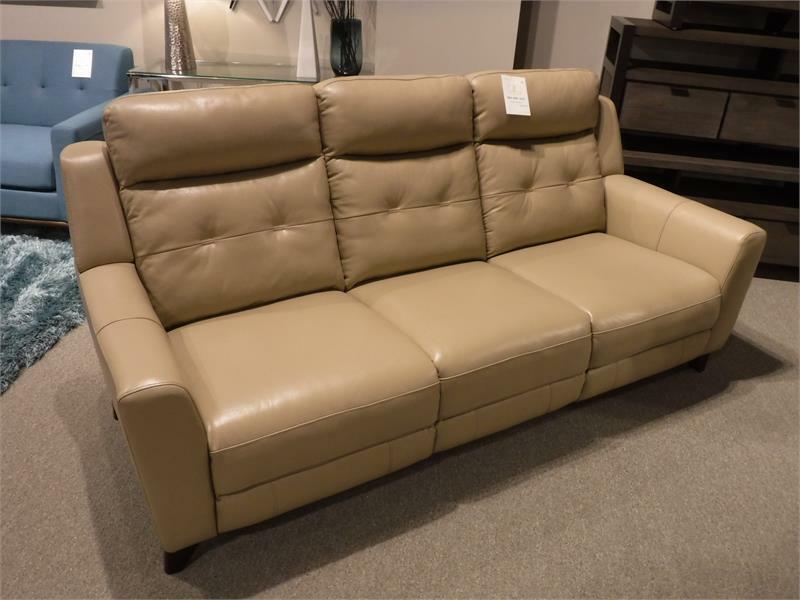 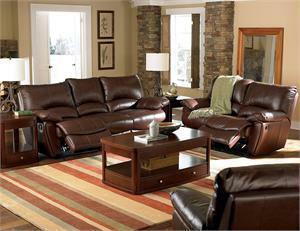 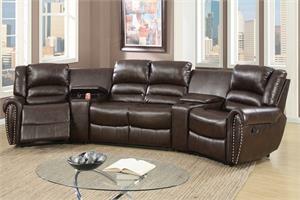 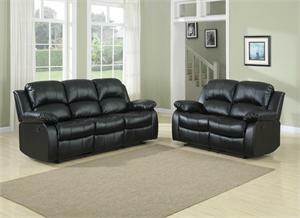 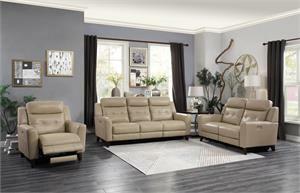 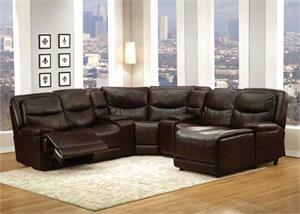 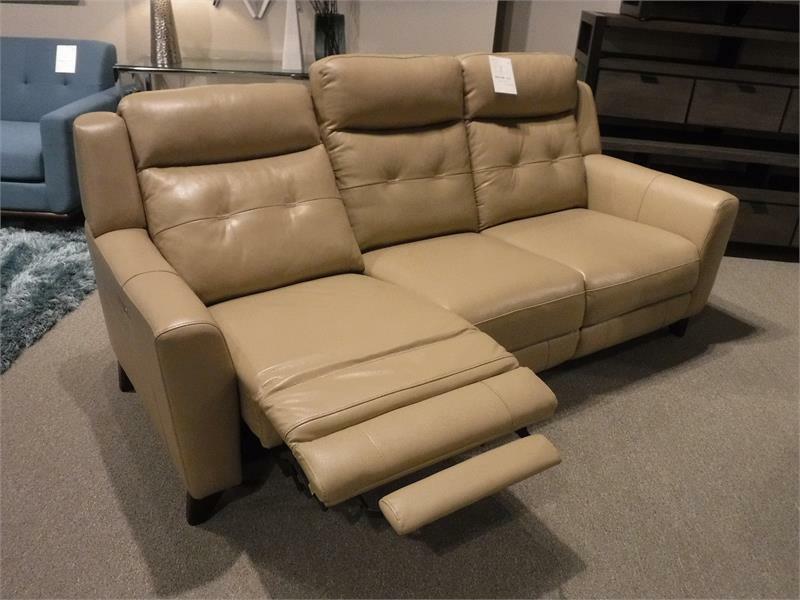 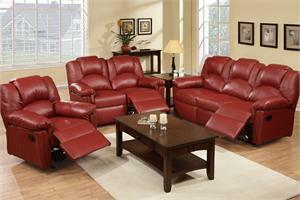 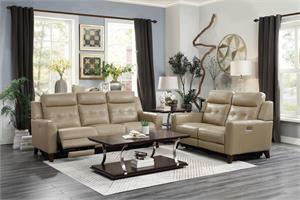 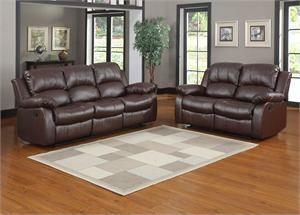 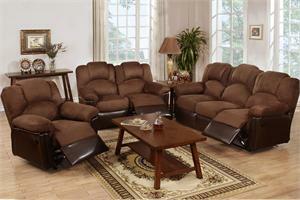 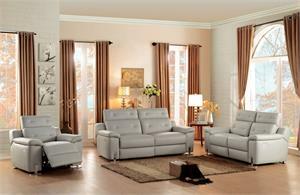 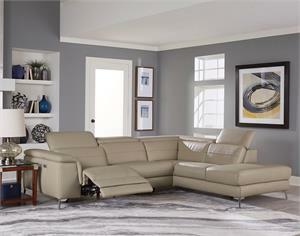 Beige, top grain leather match covers the frame of this classically styled seating group. 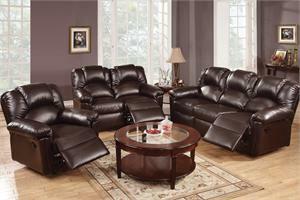 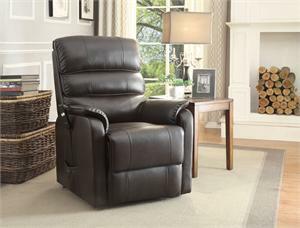 Dual reclining ends on the sofa and loveseat – along with the reclining of the single chair – engage with the touch of a button, taking you from seated to prone in a smooth, easy motion. 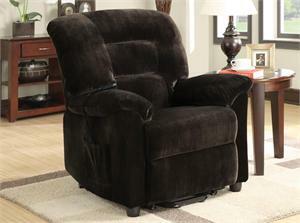 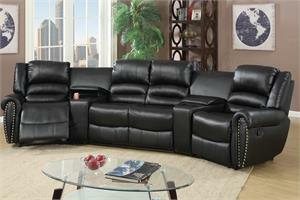 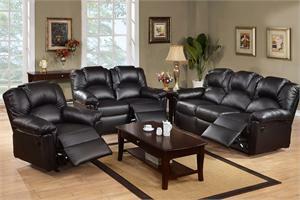 Contoured seating along with the extended foot rest of the reclining seats further enhances your comfort level. 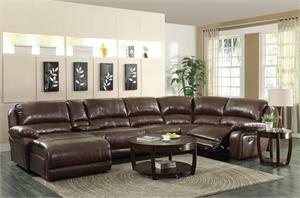 Providing accent are the cherry finished wood feet and complementing stitch tufting.